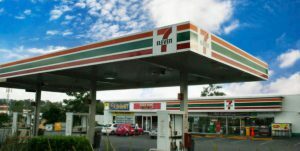 A record penalty of more than A$400,000 has been imposed against the operator of a 7-Eleven store in Brisbane. The penalty is the largest ever court imposed penalty achieved by the Fair Work Ombudsman in Australia. The fine follows an investigation and litigation by the Fair Work Ombudsman, which found 12 7-Eleven employees of a store on Boundary Road, West End had been short-changed more than A$82,000. While some of the money was paid back, the store owner, Sheng-Chieh Lo, requested his staff to secretly pay back thousands of dollars to him and his wife.